I grew up watching Masterpiece Theater (and once impersonated Alistair Cooke for a multi-media presentation by my mother), so the current popularity of Downton Abbey, which concludes its second season on Sunday, Feb. 19 in the United States, comes as little surprise to me. I've been watching versions of this show, and reading its novelistic forebears, since I was 12. Is there anything better than romance and fancy clothes? I feel like I've never not known what a shirtwaist was. Downton Abbey, for all its melodrama and dropped teacups, is really the story of falling in love with a house. 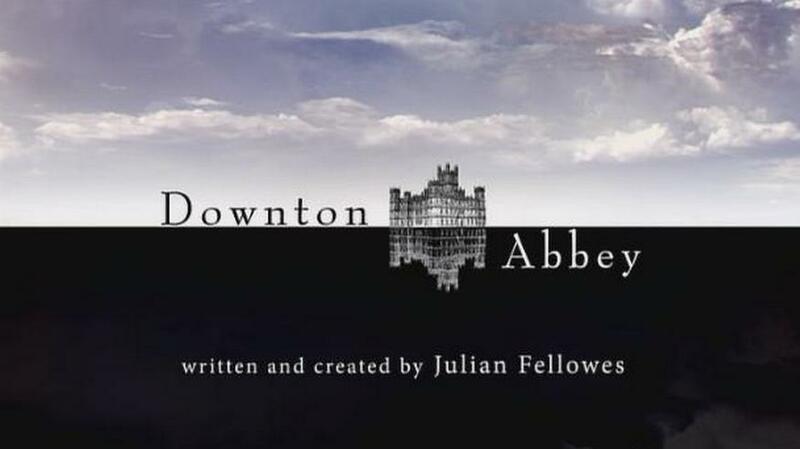 Downton, seen above in the series' elegant titles, is played by Highclere Castle, one of those English houses that sits flat on its site, relying only on an expanse of gravel for ceremony. When dignitaries visit, the staff and family line up in rows, aping (to my mind) an allee of trees that isn't there. There are entire Tumblrs devoted to its decor, and entire books devoted to the real workings of a modern castle. I have given my life to Downton. I was born here and I intend to die here. I have no career beyond the nurture of this estate. It is my third parent and my fourth child. In Season One, Lord Crawley is very sure of his place in the world. He's willing to (relatively) impoverish his eldest daughter so that Downton will pass to the next male heir with a dowry. The house, of which he says he is custodian and not owner, comes before individuals and desires. Meanwhile Matthew Crawley, that heir, has to come to appreciate the services of a butler and valet not because they are what is due to a member of the upper class, but so that he can become the next custodian. The house needs a man who knows how to run it, not one worried about putting on his own dinner jacket. We see Matthew coming to terms with the house in his own way, culminating in asking for it to be the site of his wedding in Season Two. He never makes even joking reference to its obvious allure, as Elizabeth does. Instead, he busies himself at the edges, fixing up cottages for the villagers to live in, finding a way to be useful. He becomes appealing to Mary as he becomes more integrated into the house, culminating in their first kiss, and his proposal, after he rescues Lady Sybil from a bye-election riot. The slow build of their attraction, and the larger question of how one changes from Manchester solicitor into lord of the manor, was very well handled. We are all Matthew, in our dreams, and it felt like there was something more at stake than personalities and class lines. In the second season, everything changes. Many critics have commented on its peculiar pacing, in which nothing and then everything happens, and we have deaths, births, murders and engagements that seem impossibly long for the nineteen-teens. A charitable explanation would be that creator Julian Fellowes is trying to show, in plotting as well as plot, that World War I changed everything. Less charitably, my diagnosis is a case of nerves, and the fear that war and convalescence would prove too dull a backdrop. It's instructive to watch Fellowes's Gosford Park (also streaming on Netflix), a spoof of the genre that remade his career, and notice how glacial the pacing, how everything happens offscreen. On TV that's less possible, but a little more Altmanian offhandedness might help the actors carry off the melodrama. 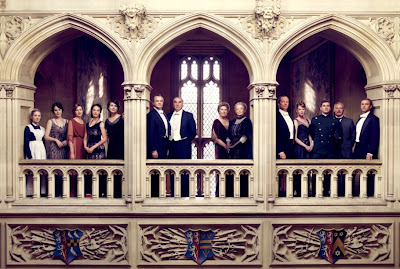 Downton itself is again a central character in Season Two. In the first episode the house is turned upside down for a charity concert, and for the first time we see the family extending itself outward for a cause. But soon everything changes; Downton becomes a convalescent home (but just for officers!). No one knows their place, the chain of command is disrupted, and rather than having a ballroom-size library in which to read the paper alone, Lord Crawley has to hear the plink of ping-pong balls. Being custodian of a great house no longer feels like enough. He mopes, he yells, he kisses a housemaid. The work of the convalescent home is women's work, work in which his wife and daughters excel. The lord can't lead in the military world. Matthew and the other young men go off to war, in which they do not excel. No one seems to want to be a hero. The war adds to Matthew's distance from Downton. When Mary jilts him at the end of Season One, unable to accept him without property, he says, "You’ve shown me I’ve been living in a dream, and it’s time to return to real life." He casts the Crawley family enterprise as a place apart, and indeed in the titles, the house seems to rise from a lake like an enchanted castle. While in the trenches, there's a lovely scene where he sits down to tea with Thomas, the evil footman (I'm sorry, Corporal Barrow), and they reminisce for a moment. From that perspective Downton doesn't seem that bad. Meanwhile, below stairs, the servants acts as mirrors of their masters. If Lord Crawley begins Season One declaring he will die at Downton, butler Carson ends Season Two declaring he always intended to die there, and haunt its hall. He and housekeeper Mrs. Hughes have decided to devote their lives to service, and expect they will end their days in one of those cottages Matthew Crawley cared enough to fix up. In Season Two Carson is the one who keeps trying to fight wartime inertia and keep up appearances. Maids serving in the dining room, to him, is letting the Germans win. He's more conservative than his master, because he too has no skills useful for the postwar world. The series' opening titles, after a much-remarked-upon opening shot of dog Isis's rear, see the details of the house from the servants' perspective. The house is seen in its ringing, sorting, dusting parts, from opening the shutters to bringing the breakfast tray, making tea and setting out the silver. It's been said that the series is entirely too sympathetic to the aristocrats' point of view, but that's escapist TV. Aren't we learning how to be a lord along with Matthew? The titles flag an understanding of the work that goes in to keeping such a house alive. The dialogue refers to technological improvements (electricity, the telephone) that will make everyone's lives easier. Edith learning to drive, Anna learning to operare a curling iron, both are liberations across class lines. 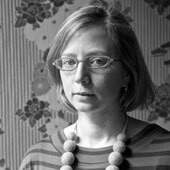 Mary is the only sister to remain relentlessly unliberated, as indicated by her willingness to exchange one large house for an even larger one, despite its jumped-up Murdochian owner. As she tours Haxby with fiance Sir Richard Carlisle, she makes it clear that buying property (and furnishing it) is beneath her: "Your lot buys it, my lot inherits it." It can't only be me that thought Haxby was the McMansion of Yorkshire estates. I'd love to hear your predictions for Downton's Season Three role in the comments. The scene last Sunday when the servants are taking the boughs down from the staircase seemed deeply symbolic: Will Downton ever see a wedding? Or is it Lord Crawley's fate to be the house's final custodian? There's no indication--yet--that the Crawleys lack the financial resources to maintain Downton. Yet, surely, The National Trust must be in its future. Yes, I think it will be the eventual bankruptcy, coming as something of a surprise, as it always does, followed by the inevitable giving in to the deeply distasteful idea of making the house into a tourist site in order that it might be saved. Some character will surely say something like: "Oh, but the idea of all those people traipsing through our house, looking at our things!" Before that though, certainly Richard Carlisle will be shunned by Mary, he will make good on his threat to ruin her, and Matthew (finally returning to his senses) will of course rush to her salvation. Yet, somehow, Matthew and Mary will still be not quite able to find a way to be together. When Lord Grantham says he has devoted his life to Downton, we forget that he must mean much more than just the house. The house must be surrounded by thousands of acres of farmland, which Lord Grantham rents out to small farmers, and the town, practically in the shadow of the house. The medieval serf system had long evolved into a kind of genteel sovereignty. He controls the town by owning all the land, but he's also everyone's patron. The Crawleys established the cottage hospital, and they maintain the local church. When Lord Crawley talks about being the Custodian of Downton, I think he means all of that... he means he is the sustainer of the town, and of the system that he cannot possibly think could change.